Since retiring the fashion blogging I find I now focus more on key pieces of clothing that I know will get a good amount of wear. No point in having a wardrobe full of party dresses when the last time I went to a party was nearly 4 years ago... Now I pay more attention to comfort and warmth and rightly so saying as we've had flutterings of snow and ice. Warmth in style doesn't have to mean thermal undies (though if you want to rock your thermal vest you go for it! ), it does mean layering though. One layer when it's -1 just isn't going to cut it. 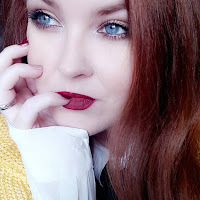 Layering doesn't have to mean ''put all the tops on all at once'' it can mean layering socks with tights, skirts over leggings or my favourite, ALL THE FAUX FUR IN THE WORLD. This is an outfit I've been wearing (a lot) recently and I can safely say I've been as snug as a bug in a rug, even when out! The faux fur cardigan and snood from George at Asda have been worn repeatedly over the last month (see my Instagram post on the snood here). Easy style for the win, plus... I am OBSESSED with finding faux fur to match my hair colour... I'm sure that's completely natural, right? 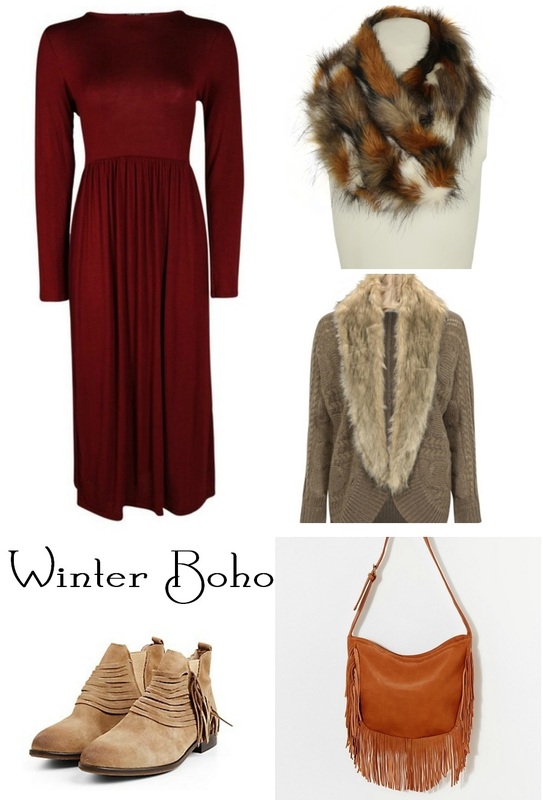 The Mia midi dress from Boho is a great length for me and I'm still loving all the berry colours from Winter. I love mixing shades of tan, browns and berries and you'll find that with a nice slouchy cardigan, bag and boots, you can make anything work. I'm sure Spring really IS just around the corner but for now you'll find me cosied up with ALL the faux fur EVER.